Gorgeous Baluch Afghan rug with faded antique tones giving it a classic look. One of a kind rug which is a perfect example of nomadic life. It is an Afghan tribal carpet. 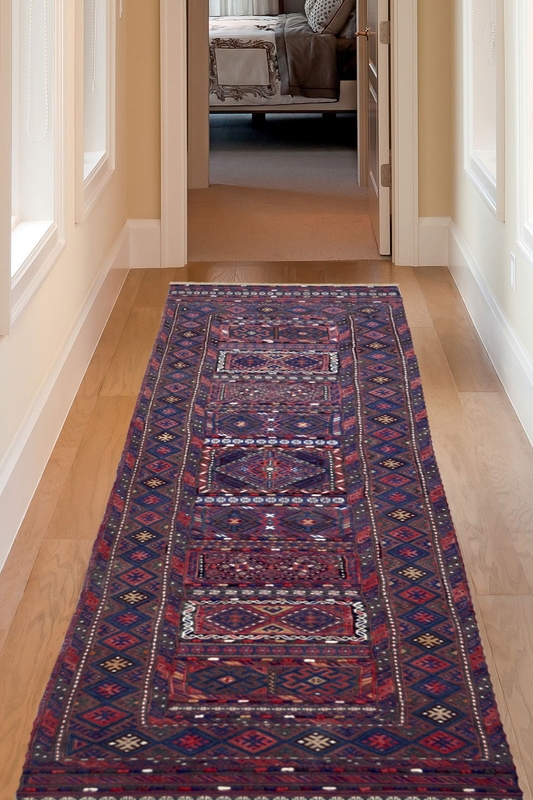 This rug is hand-woven using beautiful vegetable dyed Baluchi wool. Primary color of this rug is antique blue with overlaps of light and dark brown. The design is indicative of early nomadic life and was woven by skilled craftsman with utility in their mind. The Baluch rug can be used in a room with rustic wooden interiors and can easily blend in today’s traditional home.